D’Kei boasts an incredible selection of designer cording, upholstery cording and micro cording for just the right finishing touch for your project. 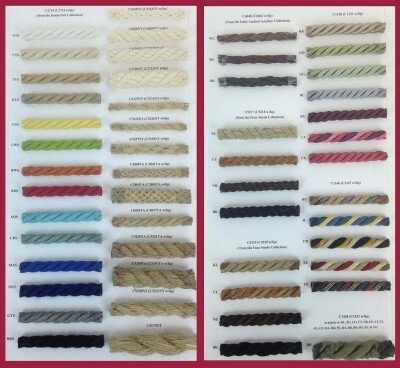 Whether you are looking for a designer cord with lip for the edge of a pillow, or upholstery trim for furniture you will find just the right cording here. 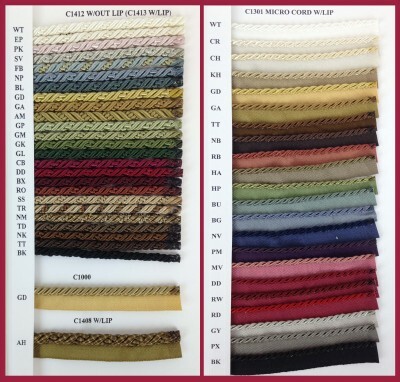 The designer cording sample display boards below serve as a color palette and tie back into a designer trim collection with other coordinating trim pieces such as tassel fringe, brush fringe, or bullion fringe. 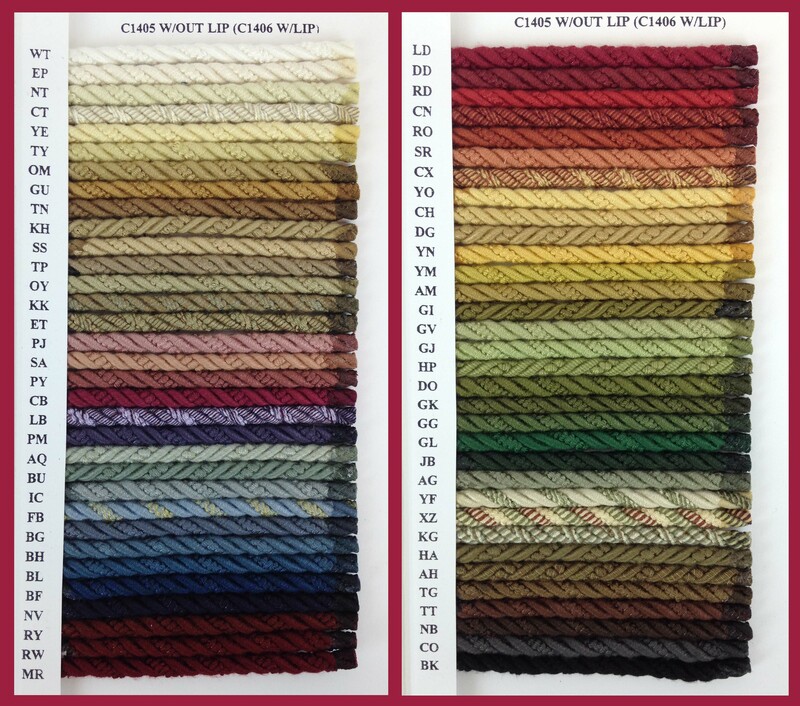 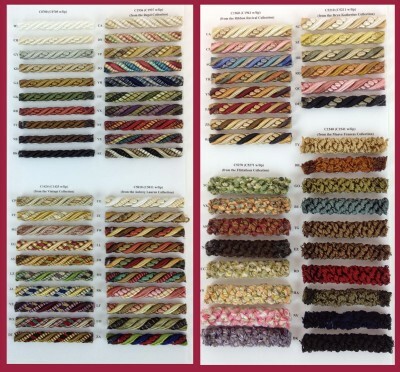 Our upholstery cord collection offers a tantalizing array of color options in a very high quality narrow cording in both shiny and matte textures, as well as micro cords with lip for an almost hidden embellishment. 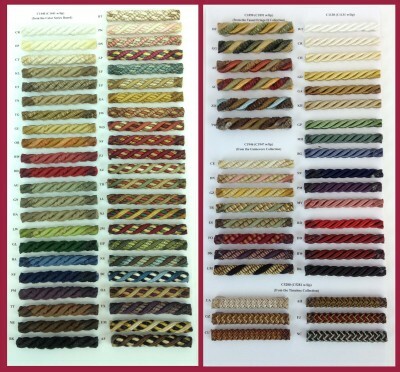 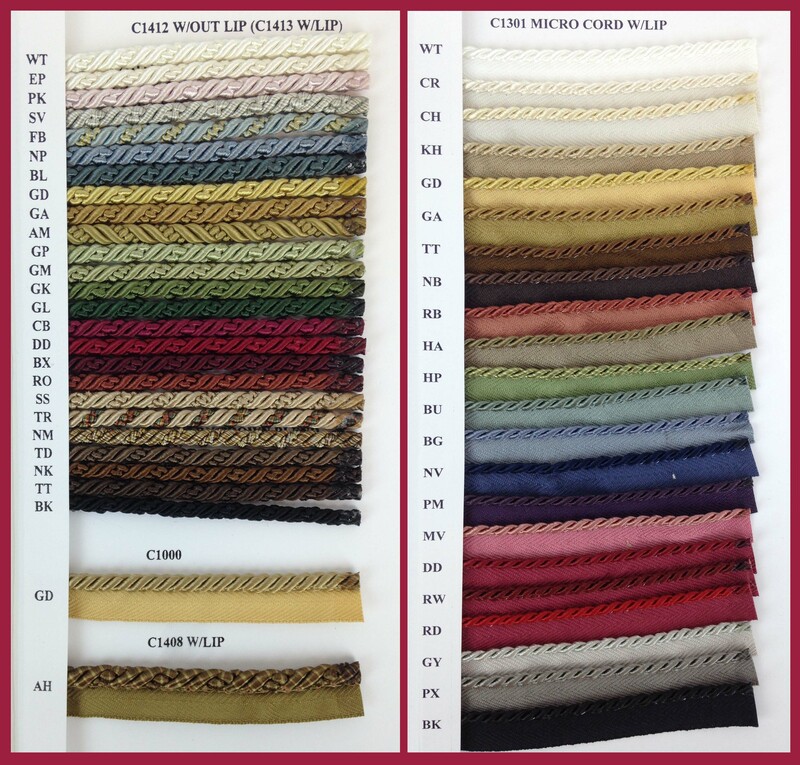 Cording can be ordered with or without lip. 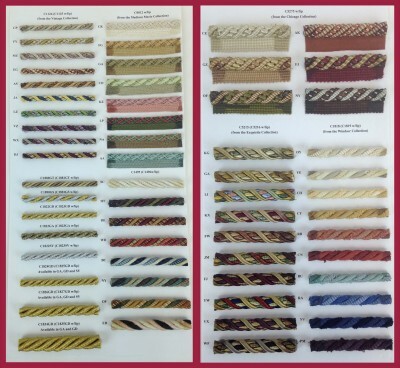 The cording sample display boards shown below are available for purchase.